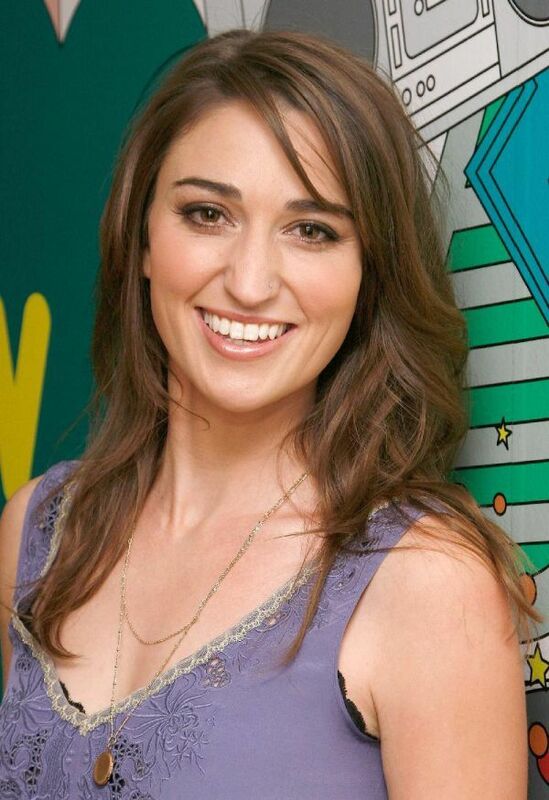 Sara Beth Bareilles is a American singer-songwriter who achieved mainstream success in 2007 with the popular song "Love Song" (not to be confused with Taylor Swift's "Love Story"!) Since her 2007 debut, Sara has sold over 1 million records worldwide and has been Grammy-nominated three times. Sara Bareilles released a little known studio album in 2004 entitled "Careful Confessions" but it was her debut major-label album that really got her noticed. Entitled "Little Voice", the album has a catchy mix of up-tempo, gutsy songs and slower, more melodic songs. Perhaps my favourite song from the album is "Fairytale" which takes a modern twist to the traditional fairytales and yet still manages to have a message behind it. It has been three years between Sara's debut album "Little Voice" and her sophomore album "Kaleidoscope Heart" while fans were only able to repeat songs from "Little Voice". Luckily, this isn't a bad thing and the album definitely manages to hold it's own against some of the more mainstream contenders that she was up against at the time of the album's release and since then. Sara's sophomore album, "Kaleidoscope Heart" has been greeted with rave reviews from a miriad of sources and I definitely agree with them. It is still similar enough to "Little Voice" for fans to recognise the Sara from that album but it is different enough so you can see how she has developed as an artist, something that is always nice to witness. There are a lot of strong songs on the album and it is great to be able to say that not one of them feels like a filler song, which is a welcome change from a lot of the pop albums circulating today. It is hard to pick a favourite from this album so I would have to give it to both "Uncharted" and "King Of Anything". Both songs have their own messages but they are also both catchy enough to keep listeners coming back for more. "King Of Anything" is both funny and gutsy with Sara asking "who made you king of anything" and it can relate perfectly well to most people's lives aswell. Sara has not had many chances to tour other than America but recently finished a tour where she opened for Maroon 5 and has just started opening for Sugarland on their most recent tour. It is a brilliant way for her to be able to get her name and her music out there and with such a glowing comment from Jennifer Nettles of Sugarland after her first gig it seems like Sara is set to have a very good time on the road with them. For those of you not yet introduced to Sara's music, I would definitely say to buy "Little Voice" first as it's nice to see the difference between the two albums and in the order that they were released. I have not yet had the pleasure of seeing Sara Bareilles live but I certainly hope that when she works her way over to the UK next it will be to headline her own tour. She gets a definite five stars from me and I hope she continues to develop as it looks like she will. Some important new albums to look out for soon! So excited to see this one released! Lady Antebellum premiered their single "Just A Kiss" a few months ago and it has been flying round the airwaves to rave reviews. There is going to be a tour to support the album and it looks like there will be a UK stop along this tour. Mim has yet to set an exact release date yet but she has started work on her anticipated second album. Anyone that has seen Mim recently will have heard some of her new material and it looks like it's going to be a very good album! James' album is in the finishing stages of production and is down to the final details. He has also promised something special for the first fifty people to buy his album so I suggest as soon as a pre-order is released that people get in there - you definitely don't want to miss out on this one.